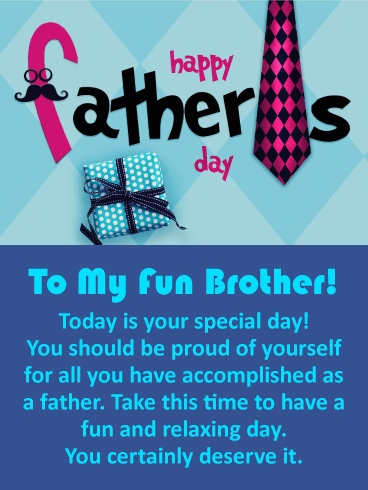 This greeting card was designed to make your brother happy that it's Father's Day! 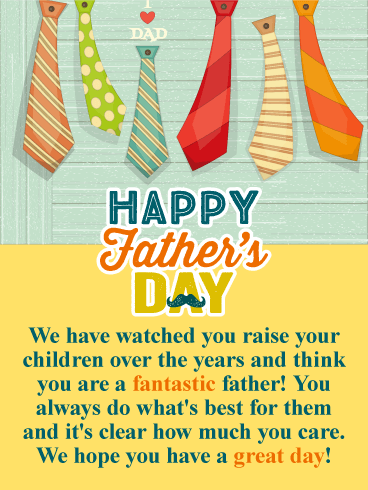 It features wonderful colors and classic Father's Day elements that create the perfect Father's Day card. Your brother will be excited to receive such a great greeting card from his sister. It expresses how you feel your brother's caring ways bring joy to his children. It will touch his heart! Honor your brother with this classic Father's Day card today! HAPPY Father's DAY - To My Wonderful Brother! 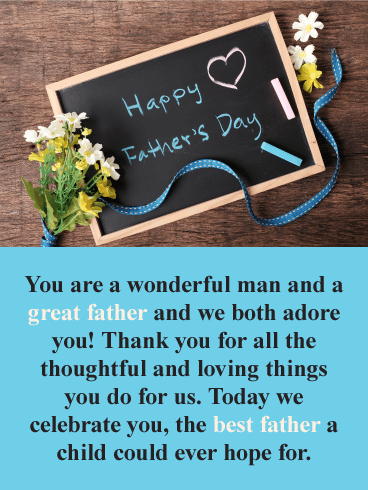 You are an exceptional father whose caring ways bring so much joy to your children. This day honors all that you do for them. Have a fantastic day! 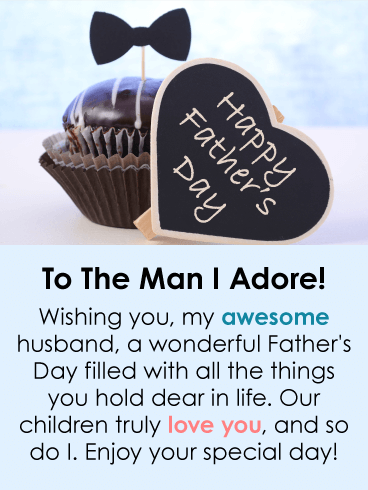 Fathers are the best and they deserve recognition on their special day. 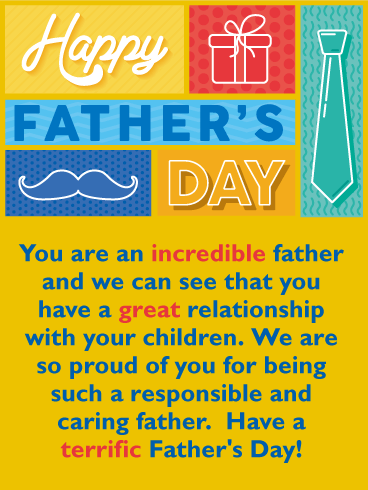 That's why this heart-warming Father's Day card was created, to recognize a father that is great, thoughtful, and loving. 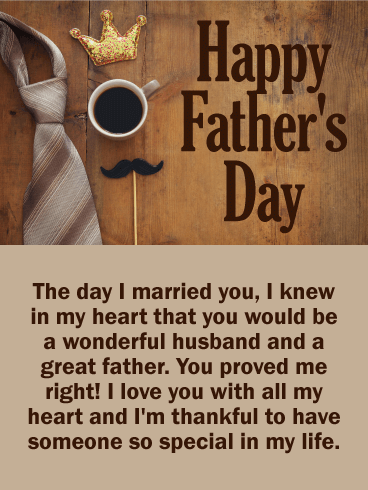 He will be touched that the two people he holds so dear, his wife and child, are taking the time to send such a loving Father's Day card. Send these flowers and cute chalkboard today to wish him a Happy Father's Day! 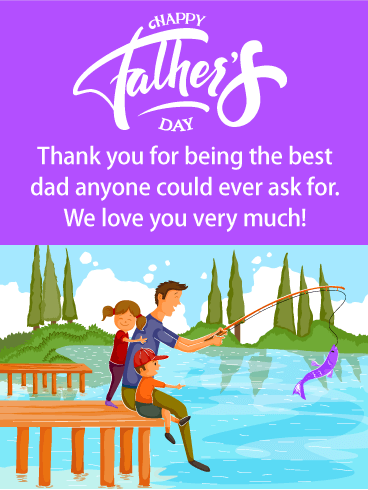 Send your brother a Father's Day card that will put a smile on his face! 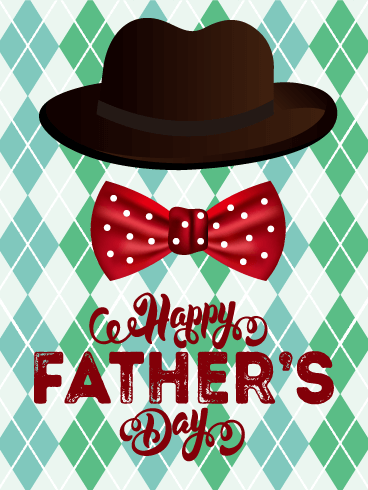 This greeting card features colors that give it an element of fun and contains the famous Father's Day tie icon and gift. This will surely get your brother excited about his special day! 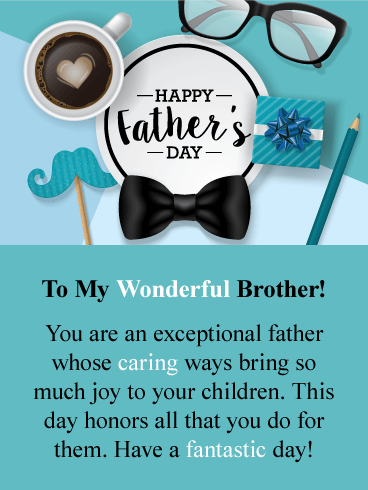 He will be touched that his sister is sending a Father's Day card that expresses that he should be proud of all he has accomplished as a father! 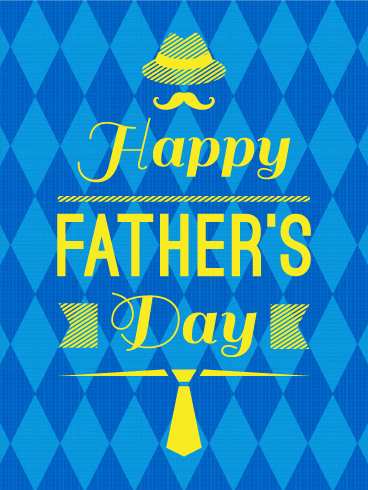 Brighten your brother's day with this cute Father's Day card made just for him! It showcases a wonderful image of a father wearing a superhero cape while battling a cardboard robot as his children cheer him on! The message expresses how as his sister, you feel your brother can handle anything and you think that he is an impressive father! 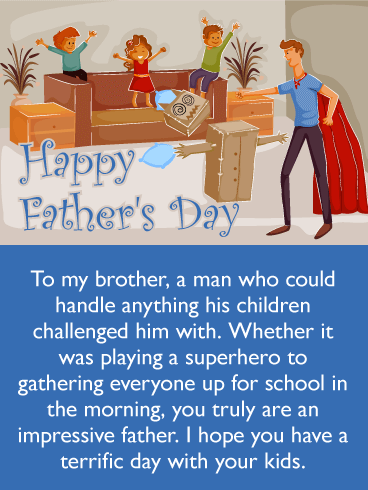 Get this Father's Day card over to your brother so he can feel like a superhero again! 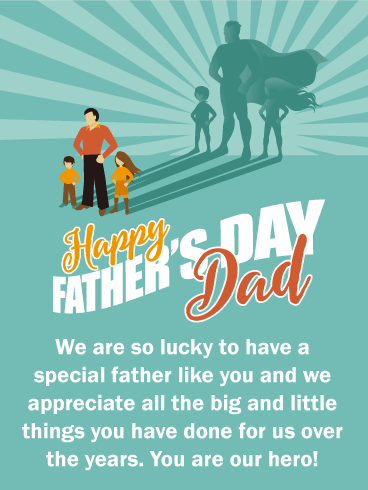 Remind your brother that he is a terrific father and a wonderful person with this meaningful Father's Day card! It showcases a touching image of a father spending time with his child at sunset. So beautiful! Father's Day is a time to let your brother know how you feel, it will certainly mean a great deal to him. 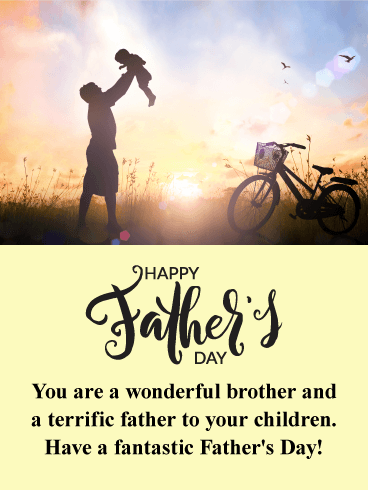 So be sure to send this exceptional Father's Day card on this very special day that honors your brother!